It challenges every conventional notion of what a 4-door sedan is. With 300 horsepower, a performance tuned suspension, a luxurious driver's cockpit loaded with technology, striking aerodynamic styling, and a Sport Mode setting that'll get your heart racing, it really isn't just a sedan after all. Shift Maxima's Drive Mode Selector into Sport and it's like kicking in the afterburners. Throttle response gets sharper, steering gets heavier, shifts get quicker, and the engine growl becomes a roar. Switch back to Normal Mode and supersonic gives way to super-smooth, super-refined, and surprisingly fuel-efficient. Under the hood lies the beating heart: Nissan's legendary VQ V6 engine. 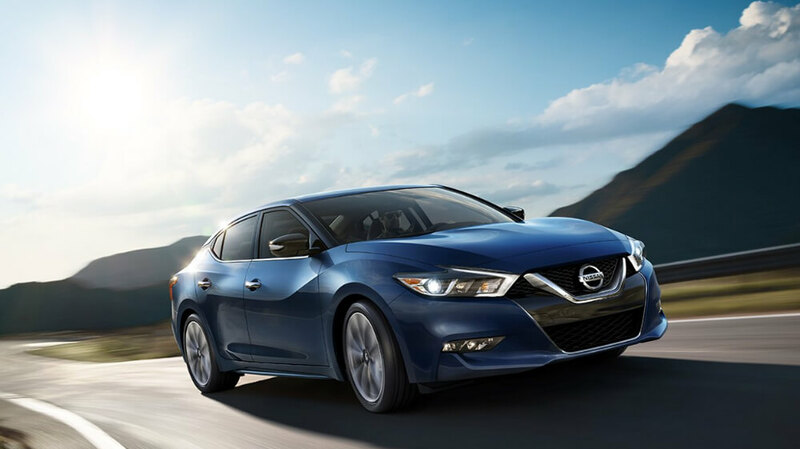 From sodium-filled exhaust valves and anodized pistons, to the high-flow tuned induction system, more than 60% of the engine's components have been redesigned for the Maxima®. It even borrows some performance technology from the mighty GT-R®. This 300-hp powerhouse exhilarates from idle to redline. Maxima® is engineered to not only take corners, but to own them. The suspension is an independent subframe-mounted strut/coil spring design in front. In the rear is an independent multi-link double wishbone design with ZF Sachs dampers. The rear dampers features a monotube design, often found in performance applications, for enhanced performance and fade resistance. Large stabilizer bars are found front (24.2 mm) and rear (26.5 mm). Forget everything you ever knew, and everything you ever heard, about Continuously Variable Transmissions. Engineered for both enthusiast and economist, Maxima's CVT features dynamic step shifting, wider gear ratio coverage, and an adaptive shift controller. The result: more distinctive shift points, a more connected, spirited driving experience, and increased fuel economy. A deeply bolstered sport seat helps keep you in place, the tall, angled center stack envelopes you and delivers all necessary information clearly and concisely, and every button, switch, and dial is exactly where you need it. Maxima® is a driver-focused car, so we rotated the center console 7° to focus on the driver. Inspired by the GT-R® cockpit, this subtle shift perfectly positions every button, knob, dial and display toward the driver for immediate, intuitive information and command. Maxima's sport-styled heated and cooled front seats are bolstered at just the right width and height to conform to your body and help keep you in place, even during high-G cornering. Active Trace Control [*] automatically optimizes your line through turns by precisely applying the inner or outer brakes. 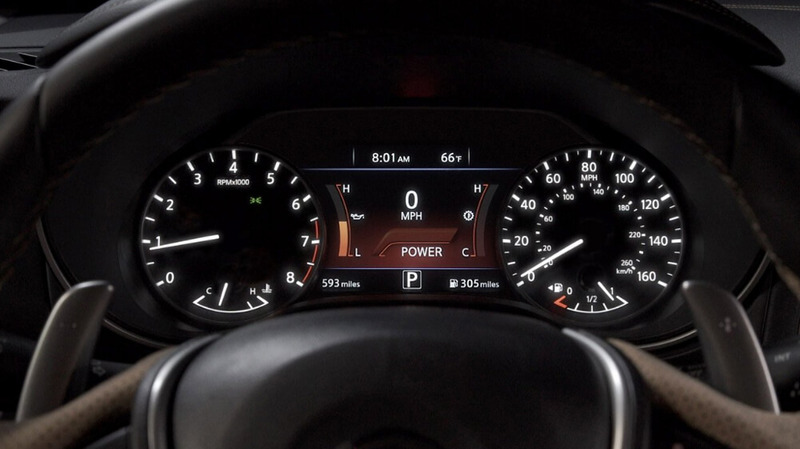 Active Engine Brake automatically downshifts the CVT when under braking, slowing your Maxima® with less effort while readying the gears to power you out of an apex. 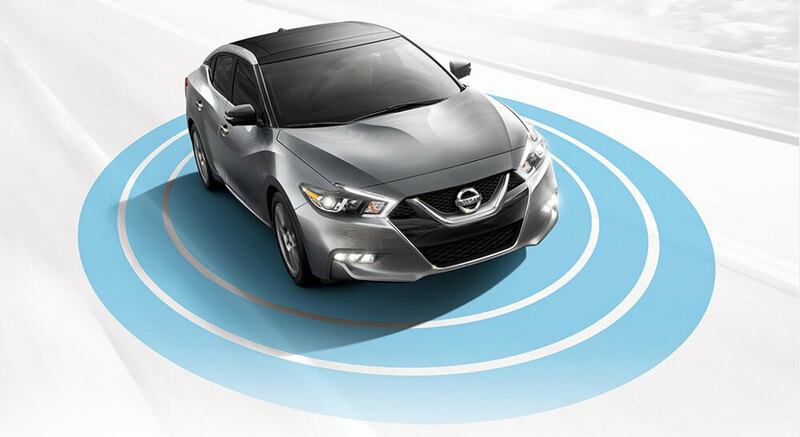 Active Ride Control reacts automatically when Maxima® is unexpectedly jolted by a bump in the road. It subtly applies the brakes to level the chassis, helping to keep the ride controlled and comfortable. 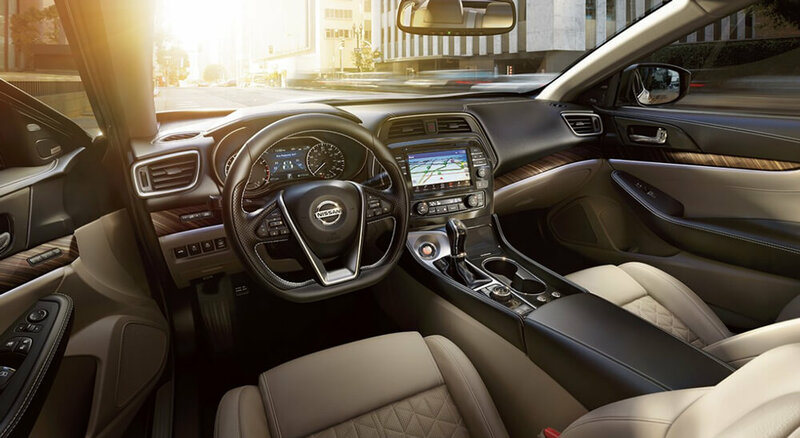 Like every Nissan vehicle, Maxima® comes equipped with a suite of standard safety, driving, and convenience features designed to inspire confidence behind the wheel, and help make every ride better, safer, and more enjoyable. Predictive Forward Collision Warning [*] can alert you to potential risks up ahead by monitoring the velocity and distance of the vehicle in front of the vehicle ahead of you. Although obscured from your forward field-of-view, sensors can detect if that vehicle suddenly and unexpectedly slows, giving you time to react to the situation. 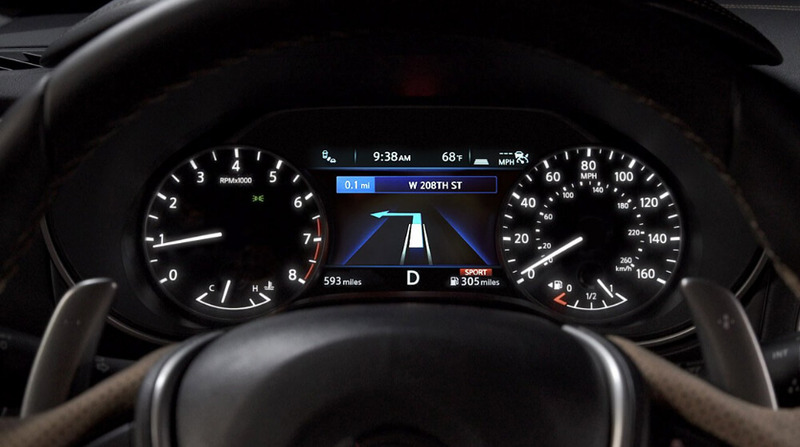 If the FEB system [*] detects that you need to slow down to avoid a frontal collision, FEB [*] will alert you with visual and audible cues and, if necessary, assist you by automatically applying pressure to the brakes to help avoid or mitigate a collision. Using radar technology to help keep an eye on your speed and proximity to the vehicle ahead, FEB [*] gives you audio and visual display warnings to help you reduce your speed if necessary. If a collision is unavoidable, this feature will engage the brakes to help reduce both the speed of the impact and the severity of a collision.